New research shows that tax deferral can potentially increase returns on tax-inefficient assets by as much as 100 bps—without any subsequent increase in risk—simply by locating assets based on their tax treatment between taxable and tax-deferred vehicles. Boosting returns by 100 bps is a big deal. It means that tax efficient investing alone might earn more than advisors charge making the remainder of their services just an additional benefit. 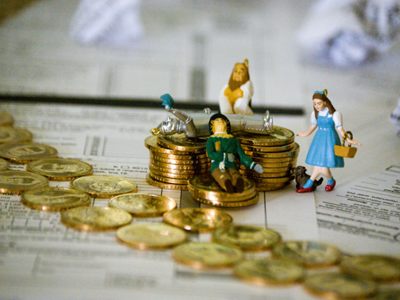 Tax-efficient assets, such as index funds and passively managed funds, generate long-term capital gains and dividends, currently taxed at rates of 15% or less. Tax-inefficient assets, including bond funds, REITs and many hedge-like funds, generate ordinary income or short-term capital gains, currently taxed at rates as high as 35%. Actively managed investments can suffer the biggest hit – short-term capital gains tax plus the added cost of multiple transaction fees. A textbook asset location strategy would put all tax-efficient asset classes in taxable vehicles, and all tax-inefficient asset classes in tax-deferred vehicles. Tax efficient investing doesn’t show up on performance reporting, but it boosts your after tax wealth none the less.